We remain in the desert for the second week in a row on the European Tour, and this week we are in Doha, Qatar for the Qatar Masters. The field is strong once again this week, headlined by last year’s winner Sergio Garcia and World No.6 Justin Rose who finished his week strongly in Abu Dhabi after a slow start. Much like the previous week, the Abu Dhabi Championship looked a mere formality going into Sunday, but once again that wasn’t the case. Martin Kaymer held a six-shot lead overnight, and the margin was as big as 10 early on in the round and a 4th Abu Dhabi Championship win looked certain for the German. It wasn’t to be however, as a double-bogey on the 9th and triple-bogey on the 13th cost Kaymer victory, as Frenchman Gary Stal tied the round of the day (-7) to claim his maiden victory on the European Tour. Rory McIlroy finished 2nd at this event for the fourth time, as a final round 65 was not enough to overcome a 3rd round 71, on a day where he could not find his touch on the greens. That is now two weeks in a row we have seen a player blow what looked like an insurmountable lead, with Charl Schwartzel giving up a five-shot lead in South Africa two weeks ago. Kaymer’s obviously looked a lot worse, and no one could have expected him to shoot a final round 75, especially as he was only one of two players in the top-20 to shoot over par on the day. The other was Alexander Levy who made 7 on the last, missing two short putts to finish +2 and drop from T9 to T20. We saw Sergio Garcia lift the trophy here, twelve months ago and the Spaniard will be back in the field again this week. It took three extra holes for him to get the win, as Finland’s Mikko Ilonen pushed him all the way. Garcia shot 71 on the Thursday, good enough only for a -1 score and that left him seven shots adrift of first round leader, George Coetzee. A much improved second round 67 saw him rise to 23rd but again he was still seven shots shy of the lead, now held by fellow Countryman, Rafa Cabrera-Bello. Moving day came along, and not many players managed to make a significant move up the leaderboard, and on -9 Garcia was still outside the top-10 at the end of round 3 (T11) but now only three shots shy of the lead. A final round 65 was enough to make the play-off, and eventually go on to win the trophy. It was a great week of plugging away for Garcia, and he certainly held his nerve when it mattered. Statistically, Garcia did not have the best of weeks, he ranked 54th in Driving Accuracy and 32nd in Greens in Regulation, so accuracy was not exactly key to his win. He did however rank 5th in Driving Distance, and in the top-20 of both Putts per GIR (18th) and Putts per Round (17th) so he was fairly solid on the greens. The rest of the top-5 ranked inside the top-10 for Greens in Regulation, which you would expect at the top of the leaderboard, so hitting greens will be as important as ever. Doha GC ,7,400 yards, par 72. Whilst it’s not imperative as shown by Thomas Bjorn in 2011, this course does tend to favour the bigger hitter, despite suggestions the course does not play long, with 4 of the last 5 winners ranking inside the top-15 in Driving Distance on the week. As important as distance is hitting greens this week, as apart from Garcia last year, who as aforementioned ranked 32nd in Greens in Regulation en-route to victory last year, the previous four winners all ranked inside the top-10 for Greens in Regulation, so that should be taken into account this week. Ultimately you cannot win tournaments if you’re not hitting greens and leaving yourself make-able putts, that is true of any week, but it looks as though there is an emphasis on second-shots this week rather than accuracy off the tee. Of the last five winners, only Chris Wood (17th) ranked inside the top-20 for Driving Accuracy and he had an exceptionally strong ball-striking week, so you could be forgiven for taking a chance on a player who may not be the straightest off the tee this week. Water can well be a big factor on this course, and water hazards come into play on holes, 3, 8, 9, 13, 15 and 18. The par-3s play strong at this track, with three of them (3, 8 and 13) made tougher by the water hazards. Both 3 and 13 are both over 200 yards as well, so scoring on those holes could well make a huge difference this week. The top -5 in the betting was fairly easy to predict this week, with Sergio Garcia the obvious favourite, as he looks to defend his title. As well as his win last year he has five more top-10s here in eight appearances, so he clearly likes the course. Justin Rose had a good weekend, to finish 12th after a slow start in Abu Dhabi last week, and he will always be at the head of the betting, so it’s not much of a surprise to see him up there, although I do think 8/1 is plenty short enough. Henrik Stenson missed the cut last week, but he will be keen to bounce back at a course he has a win and three runner-up finishes at, but again at 12/1 I am happy to avoid, especially as he has not finished higher than 16th here since 2009. South African’s, Branden Grace and Charl Schwartzel are both in form, despite the latter throwing away a five-shot lead two weeks ago and deserve to be up near the head of the market. This field is not as strong as last week, but there are still some top players teeing it up and that means once again some value further down the market. Here are my picks for the 2015 Qatar Masters. Tyrell Hatton 50/1 (General) 1pt e/w: I tipped Hatton last week at 100/1, and yes his price has halved this week, but it is all relative. Firstly, the field is not as strong this week which means his price is always going to be shorter. Secondly, he met expectations last week, finishing just shy of a place (T6) unfortunately meaning no each-way payout for us. He did show signs of frustration, as I feared he might but in general he managed to keep himself together and his emotions didn’t seem to get the better of him on this occasion. It wasn’t a lack of composure that cost him a top-5 finish this week, or even contending in the end, but more just a lack of any real luck on the greens. He was putting nicely, and putting himself in position and by the end of the round it just stopped falling for him. He now has two good finishes under his belt at Abu Dhabi (10th last year) and he will be keen to build on his performance in 2014 here at the Qatar Masters. Last year he finished 22nd here, after making it into the top-10 the week before, and I fully expect him to play well again this week. Hatton is primed for a win on Tour, and I think it is most definitely a case of when, not if for the young Englishman, and even at 50/1 I think he looks good value again here. He would have watched Gary Stal achieve what looked like the impossible last week, and that can only add to his belief. In my opinion it’s always good for a player to see someone of their own or similar age to win, whether that be those new to the Tour at 22/23 or even those experienced pro’s at 40/50 who are in the twilights of their career, who will also take heart from the likes of Miguel Angel Jimenez and Ernie Els still perform at a high level on Tour. All said and done, I really do like Hatton’s chances of winning this year and all the time he’s in the form he is at the moment, he’s no doubt one to watch. George Coetzee 50/1 (General) 0.5pt e/w: George Coetzee has not played his best golf so far this season, but he often pops up one week to remind us all that he is still at large (there may be a bad joke in there somewhere) and this could be the week. So far this season, Coetzee has made 2/4 cuts, and has finished inside the top-20 once, at the Nedbank Challenge. Unfortunately that top-20 at the Nedbank was hardly impressive considering there were only 30 players in the field, so his finish of T16 was actually very much middle of the pack. Coetzee went on to miss the next two cuts in South Africa to round off a pretty disappointing period in his home country. He bounced back last week however, finishing T37 in Abu Dhabi and shooting two rounds of 68, so hopefully he’s trending in the right direction. He has a proven affinity with this course, finishing no worse than 35th on three visits, and finishing 5th and 2nd on his last two attempts. Both Coetzee and Sergio Garcia were denied a shot at a play-off in 2013, when Chris Wood brilliantly eagled the 18th to win the tournament by 1. Last year, Coetzee opened up with a first round 64, to take sole possesion of the first round lead at -8. He followed that up with a second round 69, but was now trailing 36-hole leader Rafa Cabrera-Bello by two shots, and it was eventually his third round that cost him. On day three he shot 73 which although was only +1, was enough to see him drop outside the top-5 for the first time that week. He remained only two shots shy of the leaders and that’s how he finished the week also, two shots short of both Mikko Ilonen and Sergio Garcia. After finishing just shy of a play-off on two consecutive visits, he will be keen to put things right and eliminate that one bad round in order to get the job done here. Whilst proving how extremely talented he is in the past, Coetzee still only has one win to his name, the Joburg Open and he will be keen to get a victory away from home soil. He has the game to win just about anywhere, and at a course where he has proven form, and very good form at that, I am happy to take a chance at 50/1. Thomas Pieters 70/1 (StanJames) 0.5pt e/w: Another player that played well last week, and much like Hatton, Thomas Pieters is also looking for his maiden victory on Tour. Pieters played two rounds with Martin Kaymer last week, once on Saturday when Kaymer was firing on all cylinders, and also on Sunday when Kaymer struggled and both times he looked unfazed. Admittedly Pieters did his scoring over the first two days, shooting 65-67 to make his way into the final two-ball of round 3 with Kaymer, and he stayed there as close as anyone until the final day. He could not of predicted what was going to happen to Kaymer on the last day, no one could and maybe you could argue he could have been more aggressive on Sunday, but when you’re not in the mindset to win, holding position may well have been his plan on Sunday. Even Rory McIlroy the World’s No.1 player said he was coming out on Sunday to play for 2nd place, and Pieters may well of had the same attitude. What impressed me was, despite the media circus that surrounded his group on the final two days, he still shot 70 (-2) in both rounds, which was enough to see him finish -16 and in a tie for 4th. Pieters has now finished 8th and 4th in his first two events of this new season, so he’s making good progress and those finishes will take a lot of the pressure off, that he may have been feeling ahead of the 2015 season. Why do I like him this week then? Well for starters, as it was mentioned on a few occasions on commentary this past weekend, Pieters did not have the most of consistent seasons last year, but hopefully that will change this year. 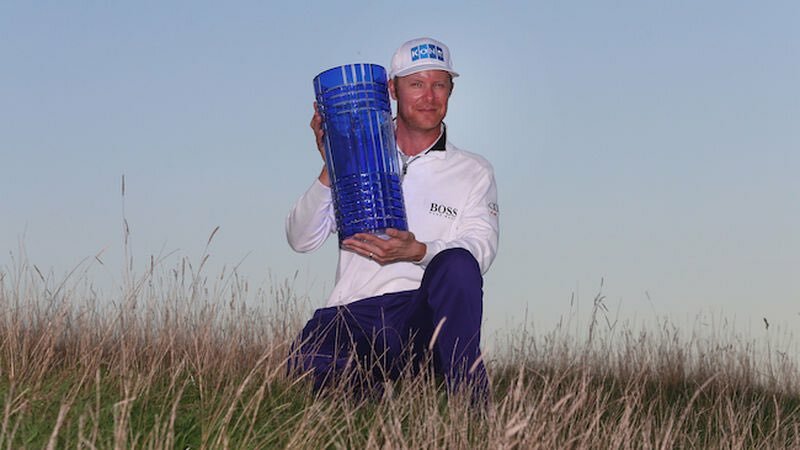 He only made 10/27 cuts last year, but included in those 10 made cuts, was a second placed finish at the Open De Espana where he lost to home favourite, Miguel Angel Jimenez in a play-off and two other top-10 finishes. He finished 6th in the Russian Open, and 8th at the Malaysian Open as well as posting impressive top-20’s at both the Nordea Masters and the Alfred Dunhill Links, so whilst he missed plenty of cuts, he did seem to finish the week of well when he made the weekend. Last year, in the three events that he made the top-10 he missed the cut the following week, however already in this young 2015 season, he has managed to put together back-to-back top-10s and hopefully that’s a sign of consistency creeping into his game. Not only does he look more solid already this season, but this course looks perfect for his game, so hopefully he can string together another good week, making it three events in a row. Much like his compatriot, Nicolas Colsaerts, Pieters can very much bomb it off the tee and at a course that tends to be forgiving in terms of accuracy and rewarding in terms of distance, this could be a good setup for him. He definitely hits it a long way, ranking 4th in Driving Distance last season (averaging 307 yards) and that could be advantageous here. It is proven that long-hitters fair well here, and although he didn’t play this event last year I feel like he could take to the course very quickly. Like Hatton, 2015 looks to be a big year for Pieters and whilst they are both in-form and available at reasonable prices, I am happy to have both of them on side. I am hoping for a bit more luck this week, after having such a nearly week last week, with three players in Abu Dhabi all fighting for places at one point, and also Tim Clark going close in America. Hatton came the closest of the lot, finishing in a tie for 6th and I am convinced he can go well again this week. This is another good week on the European Tour and hopefully the players above can make it a profitable one also. I am keen to catch these players at the right time, and they are still available at attractive odds this week. Hatton and Pieters both looked primed for a maiden win, whilst there is always expectation on Coetzee to win, and this course may offer the best chance outside of South Africa for him to do so.